Jesus told her what sort of nuns he wanted her order to be filled buy ativan online prescription with: “’I want free nuns covered with the poverty of the Cross. I want obedient nuns covered with the obedience of the Cross. I want full-of-love nuns covered with the charity of the Cross,’” Fr. Vazhakala related. Vatican City, Feb 15, 2017 / 04:42 pm (CNA/EWTN News).- Even her friend of more than 30 years, Father Sebastian Vazhakala, did not know Mother Teresa had conversations with and visions of Jesus before forming the Missionaries of Charity. It wasn’t until after her death, for the vast majority of people, that this part of Mother Teresa’s spiritual life was uncovered. “It was a big discovery,” Missionary of Charity priest, Fr. Vazhakala told CNA. When Mother Teresa’s cause for canonization was opened, just two years after her death in 1997, documents were found in the archives of the Jesuits in Calcutta, with the spiritual director and another of Mother Teresa’s close priest friends, and in the office of the bishop, containing her accounts of the communications. Fr. Vazhakala, who co-founded the contemplative branch of the Missionaries of Charity alongside Mother Teresa, said he has a document handwritten by Mother Teresa where she discusses what Jesus spoke to her directly during the time of the locutions and visions. During a period lasting from Sept. 10, 1946 to Dec. 3, 1947, Mother Teresa had ongoing communication with Jesus through words and visions, Fr. Vazhakala said. This all happened while she was a missionary sister in the Irish order of the Sisters of Loreto, teaching at St. Mary’s school in Calcutta. It was through these communications of the Eucharistic Jesus that Mother Teresa received her directions for forming her congregation of the Missionaries of Charity. Jesus told her what sort of nuns he wanted her order to be filled with: “’I want free nuns covered with the poverty of the Cross. I want obedient nuns covered with the obedience of the Cross. I want full-of-love nuns covered with the charity of the Cross,’” Fr. Vazhakala related. Mother Teresa’s spiritual director at the time helped her to understand that this spiritual dryness was just another way that Jesus wanted her to share in the poverty of the poor of Calcutta. People around the world know about Mother Teresa’s visible acts of charity toward the poor and sick in the slums of Calcutta, but “the interior life of Mother is not known to people,” said Fr. Vazhakala. Mother Teresa’s motto, and the motto of her congregation, was the words of Jesus, “I thirst.” And that they could quench the thirst of Jesus by bringing souls to him. “And in every breathing, each sigh, each act of mind, shall be an act of love divine. That was her daily prayer. That was what was motivating her and all the sacrifices, even until that age of 87, and without resting,” he said. Mother Teresa never rested from her work during her life on earth, and she continues to “work” for souls from heaven. “When I die and go home to God, I can bring more souls to God,” she said at one point, Fr. Vazhakala noted. Mary Shovlain contributed to this report. This article was originally published on CNA Aug. 27, 2016. 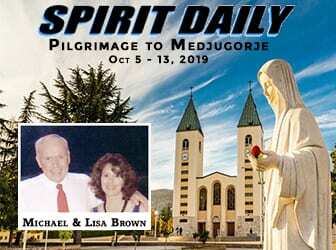 Sr. Emmanuel Claim: Photo of Famous Medjugorje Statues Changes “Mood” After Incident. 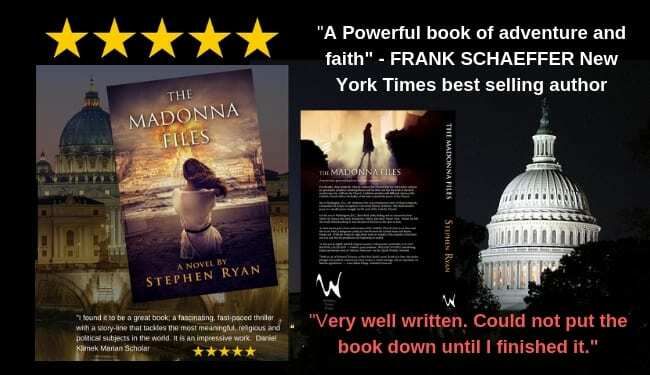 February 19, 2019 ryanmysticpost Comments Off on Sr. Emmanuel Claim: Photo of Famous Medjugorje Statues Changes “Mood” After Incident. Steve Turley on ATTEMPTED COUP: Media Accuses TRUMP of Being a RUSSIAN ASSET!!! January 15, 2019 ryanmysticpost Comments Off on Steve Turley on ATTEMPTED COUP: Media Accuses TRUMP of Being a RUSSIAN ASSET!! !